Nagasaki is a major port city, and has historically been the point of foreign trade, from China and Korea due to their proximity, then later Dutch and Portuguese traders as well. Nagasaki is perhaps best known in the west as being the second, and last, city to have an atomic bomb dropped on it by American forces in WWII. The mountains, water, and bright lights of the city make it particularly appealing, and the beautiful night skyline of Nagasaki City from the top of Mt. Inasa is considered not only one of the top three in Japan, but also in the world! It is known as the “10 million dollar view”, and winter is the best time to view it, as the air, though cold, is usually much clearer than in other seasons. And though Mt. Inasa’s view is the most famous, it is not the only one. A stroll around the city at night will give tourists many opportunities for fantastic views. 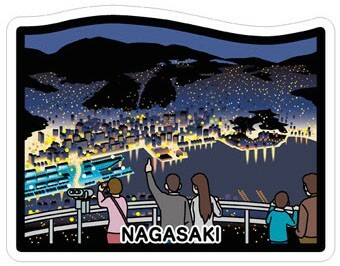 Nagasaki has an official site for its night views alone, and anyone heading to the area should start there. The website is provided in a number of different language along with English and Japanese. The most common way to get the the viewing platform is by ropeway, but just a note, from May 2015 to February 2016, several safety improvements will be made, so the ropeway will not be in operation during that time. Buses and other transportation is provided, including a special Night View bus. The viewing area itself is unaffected. I’ve been going to Tokyo a lot recently. 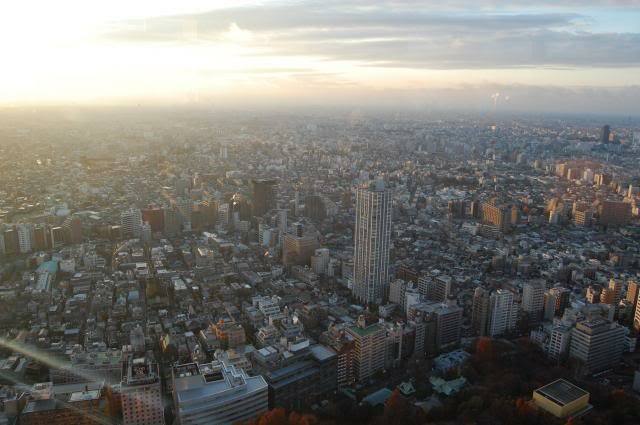 Although I really like Tokyo generally, usually I go maybe once every three months, if that, so it’s always nice to go. The past few months, however, I’ve going at least once a month, and this past month twice. It’s exhausting! 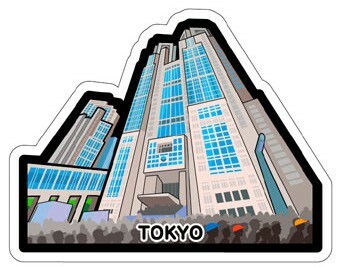 It also means that while I’m getting plenty of new pictures for this blog, it’s getting pretty Tokyo-centric around here. I promise to start posting more from other prefectures soon… I’ve just been going to Tokyo too much to go anywhere else! 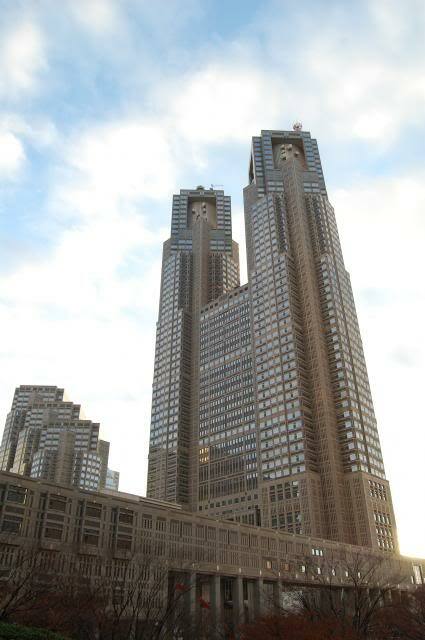 While I hopefully gather some new material this weekend, let’s talk about the Shinjuku Government Building in Tokyo. 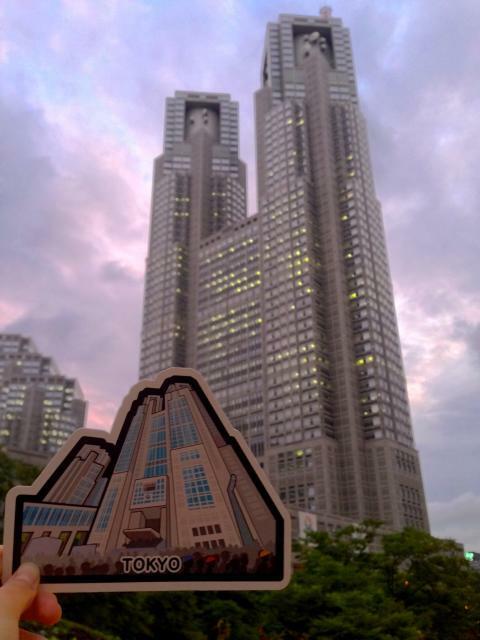 Shinjuku is one of the most famous stations in Tokyo (and the biggest station in the world! ), and is a well-known tourist destination. There’s a lot to see, a lot to do, and a lot to eat in Shinjuku at all hours of the day and night. While you’re there, consider heading to the Government Building to see not only its unique shape, but the view from the observation platform. If you get lucky, you might catch a glimpse of Mt. Fuji! This past trip was extremely rainy. I grabbed this picture in a light drizzle, but it wasn’t worth going up to see nothing but rainclouds! So I’m also posting a few pictures I’ve taken before in fairer weather! 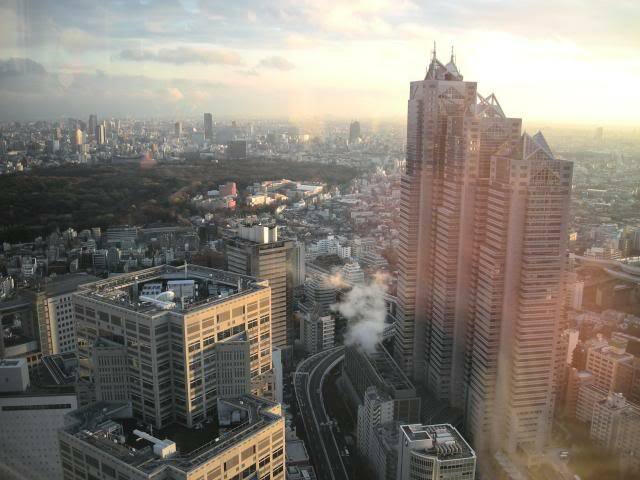 The Shinjuku Government Building Observation platform is open from 9:30AM to 11:00PM, although the times differ a bit depending on which Tower you visit. You can read more about the towers and how to get there here, and if you go, don’t forget to check out the second story as well… if you’re lucky, there may be a fair going on! There wasn’t when I went unfortunately.